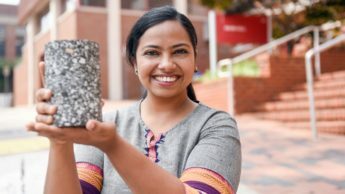 Three Ph.D. students representing different NC State University colleges were chosen from 10 finalists as winners in the Graduate School's 2018 Three Minute Thesis. 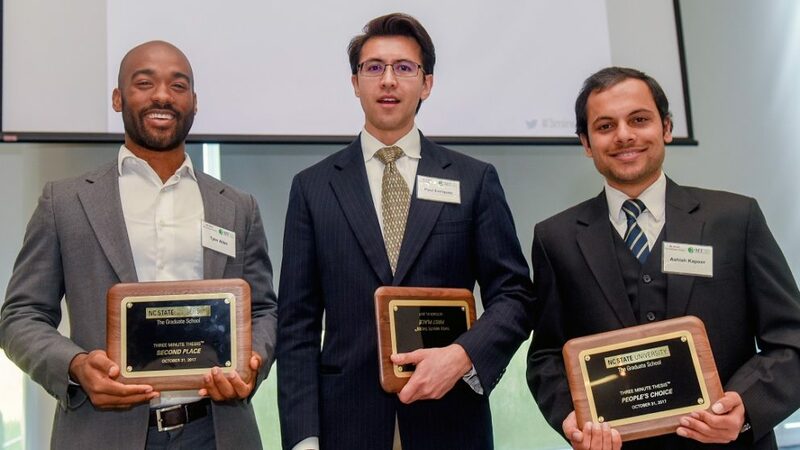 Three Ph.D. students were recognized for their outstanding research presentations Tuesday in the Graduate School’s second annual 3 Minute Thesis competition. 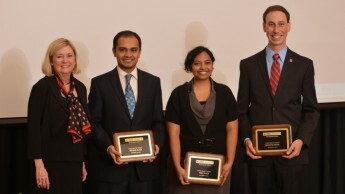 Ten graduate student finalists presented their dissertation research in just three minutes, with one slide. 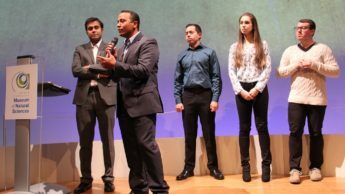 Ten finalists for the Graduate School’s second annual 3 Minute Thesis® competition, Oct. 25, will demonstrate who is most capable of describing their Ph.D. research in just three minutes and with only one slide. 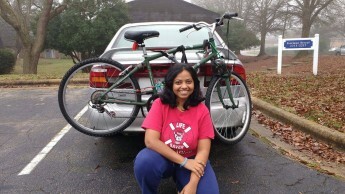 After five years of studying how to recycle asphalt in road construction, alumna Dr. Haritha Malladi set out in December to explore the United States' vast network of roads. 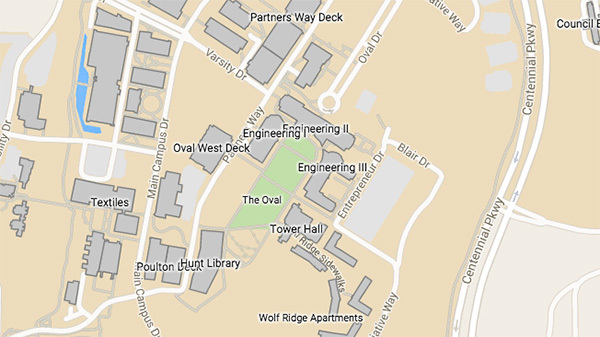 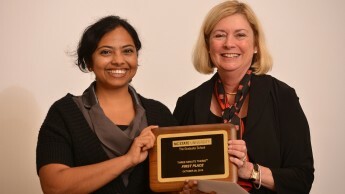 Dr. Haritha Malladi, who recently earned a Ph.D. in civil engineering from NC State, won second place in the Southern region’s 3 Minute Thesis competition this weekend in Charlotte. 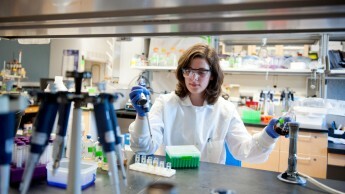 Deliver an entire Ph.D. dissertation in three minutes? 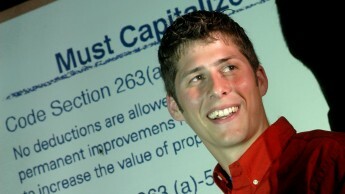 NC State doctoral students are invited to take the challenge of 3 Minute Thesis.